max. load capacity: incredible 20kg! 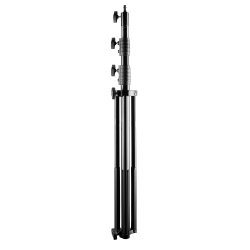 For the special moments in photography: The walimex pro Lamp Tripod AIR Deluxe with phenomenal 20kg load capacity. The superlative for your professional studio! 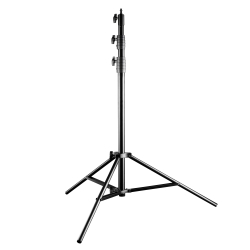 The walimex pro Lamp Tripod AIR Deluxe is the luxurious version of one of our most popular studio products. 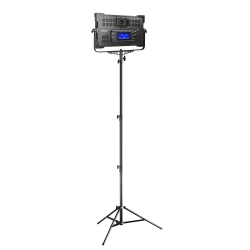 The Tripod, which has a load capacity of 20kg, is especially suitable for big and heady studio devices, for instance the walimex Wind Machine or the walimex pro 16 Angle Softbox. Security and stability are guaranteed! The air cushioning provides the necessary security when lowering the single elements. 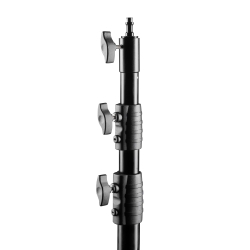 Please secure the Tripod during high load capacity and extended height from approx. 200cm with additional tripod weights or sand bags to avoid a possible overturning.